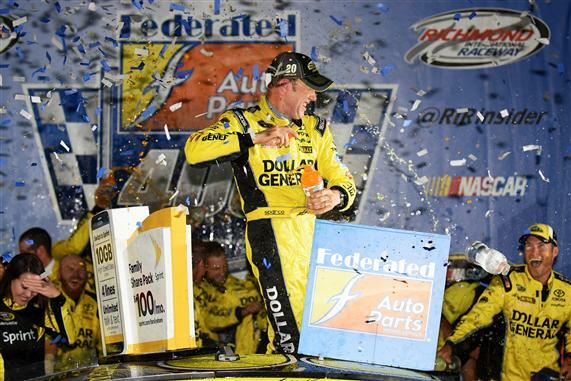 Parity has been the pattern recently at Richmond International Raceway. Eight different drivers have won the last eight races at the Northern Virginia short track – the second-longest streak at an active NASCAR Sprint Cup Series course (Darlington boasts a streak of 10). The last eight winners are Matt Kenseth, 2015-2; Kurt Busch, 2015-1; Brad Keselowski, 2014-2; Joey Logano, 2014-1; Carl Edwards, 2013-2; Kevin Harvick, 2013-1; Clint Bowyer, 2012-2; Kyle Busch, 2012-1. NASCAR fans will get to witness if there’s a ninth different Richmond winner in Sunday’s Toyota Owners 400. Notable drivers who have not won at Richmond in the last eight races, but have visited Victory Lane there include: Jimmie Johnson (3 wins), Dale Earnhardt Jr. (3), Denny Hamlin (2), Kasey Kahne and Ryan Newman.